These words spoken to Ian Corbett early on in his ministry by a university student were to echo through the years that followed. Years that took him into pioneering missionary ministry with people on the edges of their societies in the UK, Ireland, South Africa and North America. 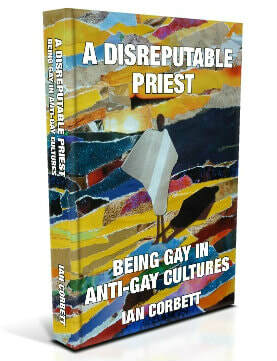 As a gay Anglican priest struggling with ‘coming out’ Ian has been well place to support people who are different – whether in sexuality or ethnicity – from the prevailing culture around them. Ian’s lifetime of prodigious work amongst some of the most marginalised and neglected – if not misunderstood and endangered communities – marks him out as a remarkable embodiment of the Christian priest who took his vocation to the limits of geographical and cultural difference. Not for him, when the choice was available, the certainties and comforts of the home counties or middle classes – more the much rarer and prized satisfaction of insecurity, unpredictability and the unknown in remote, materially poor but spirit-filled nomadic and pastoral peoples where opportunities for compassion and empowerment abounded – in both of which he proved generous and gifted to an extraordinary degree. Since Manchester days I have watched from afar with admiration Ian’s pastoral work and deep commitment to marginalised people. From what I know of it and of him this memoir should make an absorbing and enriching read.